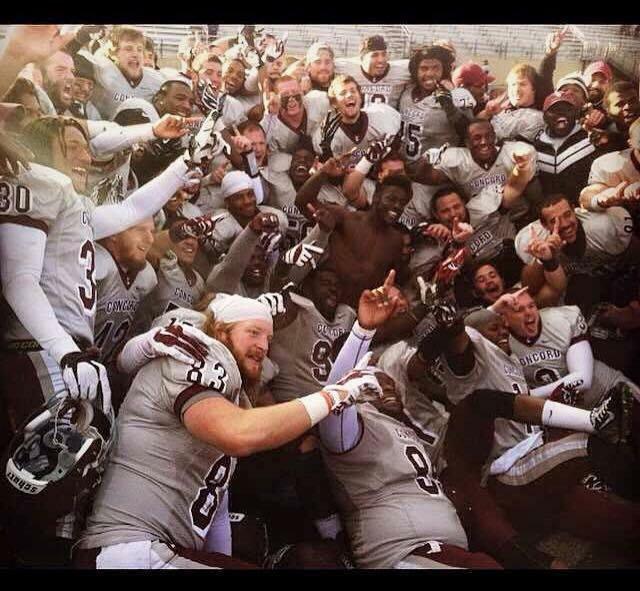 Concord University's football team celebrates a perfect regular season after defeating Shepherd University. The Concord University Football program ended the regular season undefeated, giving them a home field advantage for their first playoff game. The Mountain Lions earned that spot after winning the Mountain East Conference title, when they ousted Shepherd University. This is Concord’s second playoff berth in four years. Concord will play the winner of the game between West Chester University and Slippery Rock University. Both of those teams will travel to West Virginia from Pennsylvania. According university press release, tickets can only be purchased at the ticket booth on game day. Given that the game is an NCAA playoff game, season passes won’t be accepted. Concord students will be admitted free with a valid student ID. The game will take place at Callaghan Stadium on the Concord University campus in Athens. Tickets for the game can be purchased at the ticket booth on game day. Ticket prices are $10 for adults, $5 for students and children under the age of 12 are admitted free. Kickoff is scheduled for 12:00 p.m. on Saturday, November 29, 2014. 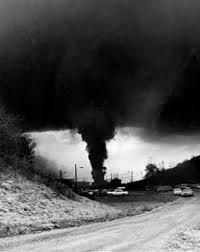 Once considered untouchable, former Massey Energy CEO Don Blankenship was indicted on four federal charges in connection with the Upper Big Branch Disaster that killed 29 men in 2010. It’s news that folks in the coalfields never thought would happen. In this episode, we’ll hear a special investigative series of reports about outlaw coal mining companies that keep operating despite injuries, violations and millions in fines. And a new lawsuit has just been filed on behalf of the 78 coal miners who died in the Farmington Mine Disaster. We’ll hear memories from Sarah Kasnoski, one of the widows who lost her husband on that fateful date, November 20, 1968. A recent investigative report has uncovered that some coal companies are working the system to avoid paying fines. The report also finds a connection between skirted financial penalties and injured coal miners: mines with more delinquent fines also have higher rates of injured workers. NPR and Mine Safety and Health News sifted through citations, and documents for more than a year to find the connection. NPR’s Howard Berkes says it was no easy task. Each delinquent fine has a different start date, so tracking the injuries associated with the delinquent fines was complicated. In this episode, we hear the first three of these reports. We also talk with Berkes about mine safety and the development of these investigations. A Chester woman is leading an effort to restore the city's most recognizable landmark.Susan Busan Badgley Hineman tells The Intelligencer and Wheeling News-Register that the structure billed as the "World's Largest Teapot" needs an estimated $15,000 for repairs and maintenance. 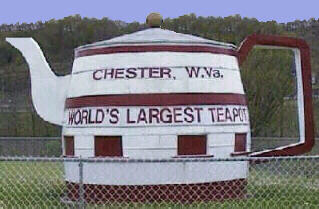 The 14-foot-tall teapot started off in the early 1900s as a giant wooden barrel used to advertise Hires Root Beer.